Updated: September 1st 2016 Aggression and behavioral problems do not occur in every dog breed. 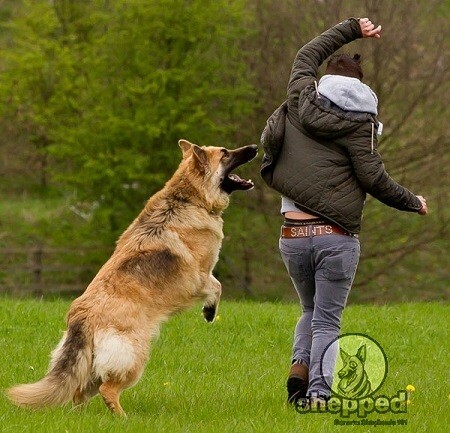 However, if you have bought a German Shepherd, you might face aggression problems quite a lot. So, why does a GSD behave like this? Are there any situations that trigger this behavior? Or is there something wrong with my dog? All of these are questions that many GSD owners ask different GSD trainers and vets. 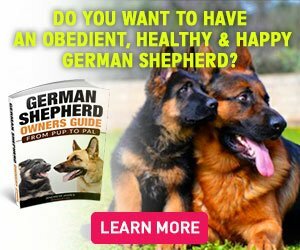 If your GSD is acting up, barking on family members, biting furniture, etc. , then your dog is just being itself. German Shepherds are wild dogs, and we know very well that they are excellent guards our police department uses for protection and other purposes. They guard herds and are strong fighters. These personality traits of a GSD make it aggressive. However, if you train your dog well in its initial days, you will not face aggression problems that might harm you or your dog. If you own a GSD, you’ll probably be dealing with its mood swings and bad temperament. The common aggression problems that GSD owners face are listed below. The list will help you get to know about your dog’s behavior and judge it before it creates problems for you. If your GSD is barking at you and when you tell it to ‘stop,’ it starts to bark louder. If your GSD is biting on the furniture or chewing something, it shouldn’t and you tell it to ‘stop’ or give it a ‘no’ command, but it starts to growl at you. If your GSD snaps at you when you ask it to stop doing something. If your GSD is trying to harm children or other animals in the home. If your GSD is biting on your hand and feet with force. If your GSD is chasing other pets in your home with a continuous bark. If your dog growls at you when you touch it. Why does a GSD get Aggressive? If your GSD is being aggressive and behaving badly, think clearly. German Shepherds do not react badly without a reason. It will become aggressive when it is upset, bored, threatened, etc. There might be something that is triggering this behavior in them. Your GSD might be aggressive because it is not getting its daily dose of physical exercise. 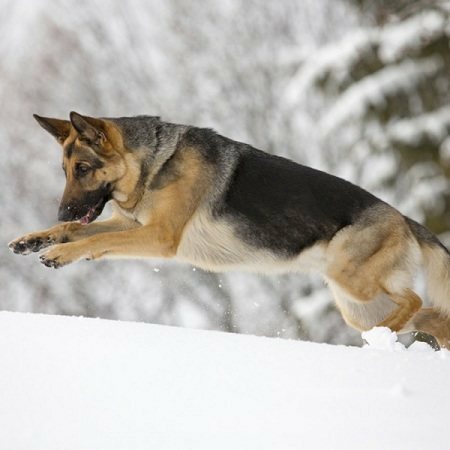 GSDs are active by nature and in the wild, they spend their time running around. They need time to exercise or else they become snappy. If you cannot take your GSD for a walk or run on a daily basis, try to take it out at least once in every two days. GSDs are not used to stay all the time indoors. If you are living in a confined apartment and not letting your dog out, you are the one triggering its aggressive side. Take your dog to family picnics, parks, swimming, hiking, etc.overly-protective, so that it can stay active. German Shepherds are extremely overly protective when it comes to their family and owners. So, when they see a stranger coming in the house, they see it as a threat that could harm its family. That’s why a GSD becomes aggressive, starts barking and charging at the person. This is a common behavior problem of a GSD as it is a loyal dog and cannot see its family in danger. Sometimes a GSD reacts aggressively with friends visiting your home. When you give a lot of time to your friends and your GSD feels neglected, it starts to bark or growl just to draw your attention. German Shepherds live in a pack and that’s why they have a hierarchical system in which they take the position of an alpha. So, when you try to rule over your GSD, your dog will get aggressive and show signs of bad behavior. This happens because it is dominant by nature and does not take orders too well. To solve this problem and make your dog listen to you, you will first need to set your position as the alpha of the pack. Only then you will be able to make it follow your commands and not react otherwise. Leaving your GSD alone at home or not giving it enough time will make it extremely aggressive. German Shepherds are loving dogs. They get attached to their owners and need their attention. However, if you do not spend time with your dog, it will try to grab your attention by barking, biting furniture, biting your foot, etc. This behavior is very common in GSDs that are left alone by their owners. Do not leave your dog alone as it will trigger its aggression which will become a huge problem for you and other family members. Now we know what triggers aggression in GSDs but how do we control it? The best thing to do to avoid aggression and behavioral problems in GSDs is to train them at a very small age. It is best to start training your GSD when it is just a puppy. A pup can be easily controlled due to its size and capability. If you try to train an adult GSD to behave, it is going to harm you or get overly aggressive. Adopt a positive reinforcement strategy for training your GSD. Do not get angry or frustrated when your GSD doesn’t follow your commands. Be patient and wait for it to learn. Many owners make a mistake of getting violent with the dog which ends up badly. Train your dog to behave and teach it different techniques taking help from treats as a sign of appreciation. If your dog is being overly possessive or protective when guests come over, this means that you haven’t trained him to be social with others. Early socialization is extremely important for GSDs as they are dominant in nature. Due to their dominant nature, they do not become friends with others and see them as a threat. Expose your little GSD pup to other people, friends, pets, etc. Do this in a positive way and let them socialize with other pets in your home and your friends. Once your pup will be familiar to them, it will not grow-up to charge or bark at them. 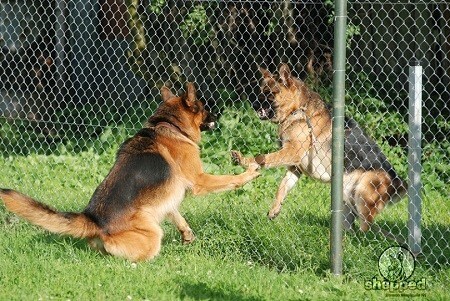 The key to handling an aggressive or ill-tempered GSD is to train it starting at a little age. This is the only way to turn your GSD into the loving dog you want it to be.